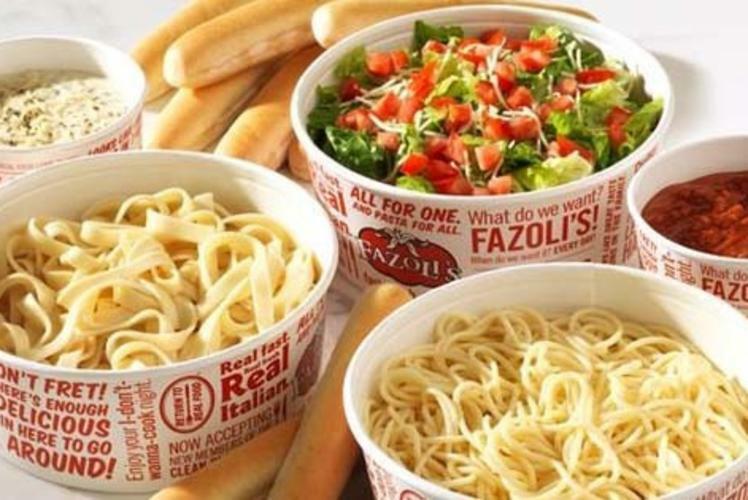 Fazoli's is always serving you fresh and fast Italian cuisine with a selection of homestyle pastas, panini, submarino® sandwiches, and fresh tossed salads. Eat in, drive up, carryout, or let us cater your next get together! We are open 7 days a week 10:30 a.m.-10:00 p.m. and Friday and Saturday until 11:00 p.m. Located off of I-94 on Golf Road and Gateway Drive.